In my years of art training I am fortunate enough to have had excellent watercolour teachers from both a Western and Eastern perspective. I find the narrative qualities inherent in Chinese brush painting especially compelling. It is not just ‘bamboo’ I am painting but it is alive and unique and unlike any bamboo before or after. 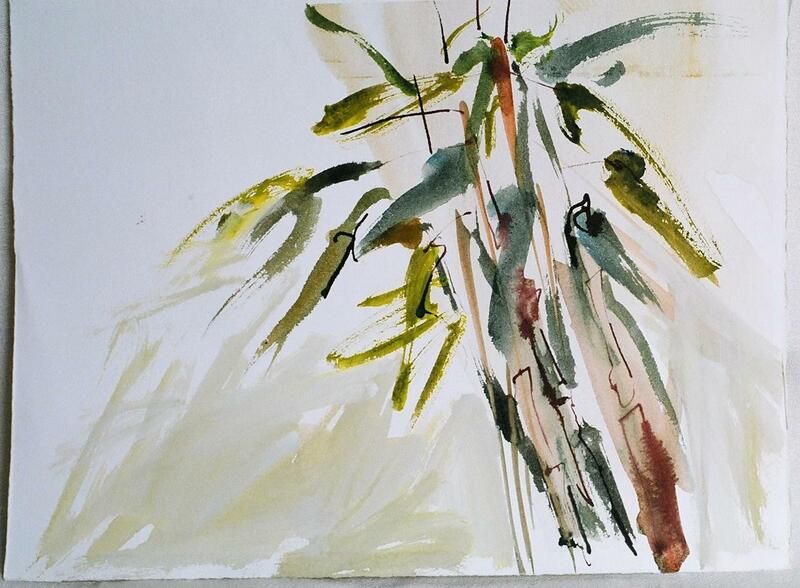 It is a moment in time; “bamboo in the wind”.